Despite the recent tragedy and misfortunes of MH370 and MH17, Malaysia Airlines remains one of only seven airlines to carry a 5 Star Skytrax rating, joining Cathay Pacific and Singapore Airlines, and stands ahead of both Qantas and Virgin Australia. The 5 Star rating recognises airlines who are at the forefront of both product and service delivery excellence onboard and at the airport. 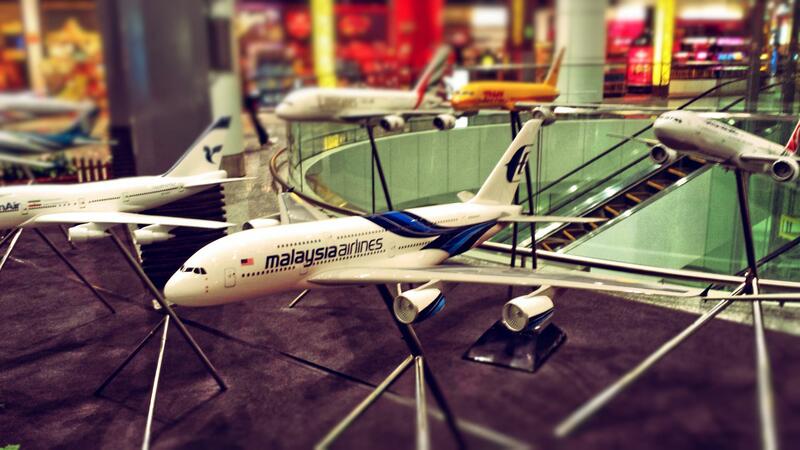 Being a frequent flyer between Malaysia and Australia, Malaysia Airlines is often our airline of choice. Since April 2013, the airline phased out the older 747-400 and 777-200ER on all routes between Australia and Kuala Lumpur, replacing it with its latest A330-300 jets. Booking: Malaysia Airlines recently refreshed its website and booking is relatively straight forward. Seat selection can be made at the time of booking, my personal favourite are either 2AC or 2HK but really the difference is minimal apart from the last row of business class seats that’s close to the galley and toilet. Alternatively, bookings can be made through the call centre but beware that waiting times can be upwards of 30mins. Baggage: Travelling light is really not our style but with a generous 40kg allowance per person plus two pieces of carry-on at 7kg each, don’t worry about having to wear the heaviest items or 3 jackets on you. Those travelling with sports equipment will receive a further 15kg. Lounge: After joining OneWorld, Malaysia Airlines have closed its own Golden Lounge in Sydney, redirecting passengers to the Qantas Business Lounge which is rather unfortunate because the Golden Lounge, whilst smaller, was a lot more personalised and less busy. Conversely, the Qantas Business Lounge can fill up during peak periods. To get a much better experience you really need to be a Platinum Member to access the Qantas First Class Lounge. Seats: The 36 new Business Class Recaro seats on the A330 are angle lie-flat seats with a spacious 60 inch (152.4cm) pitch or 75.2 inch (191cm) bed length and width of 20 inches (50.8cm) which ultimately means a fairly comfortable journey. All seats are equipped with AC power supply and USB port for Smartphones and electronic equipment. Storage: Spacious overhead baggage compartments are fitted on the A330 but I do miss the window-side storage bins on the old 747-400. There’s a water bottle holder on the side of the seat and a small pocket below the TV and a space for magazines on the side but that’s about it so if you travel with plenty of gadgets there’s not really room to store them all within hands reach. Entertainment: Large screen and noise-cancellation headphones ensures your enjoyment of the wide selection of on-demand movies, from blockbusters to all-time favourites, and TV programs like Modern Family. Meal: Business and First Class passengers can access Chef-On-Call featuring a good variety of meal options that you can book in advance (menu varies depending on your destination). If you’d prefer not to pre-book your meals, there’s generally at least two main options to choose from onboard. The meals are honestly nothing spectacular but Malaysia Airline’s signature satay is famous with good reason. It’s one of the things we most look forward to and will be happy to substitute it as the main anytime. There’s a good selection of alcoholic beverages including cocktails or try a traditional Teh Tarik (pulled-tea). Service: Cabin staff are friendly and courteous, everything you’d expect from 5-star Asian hospitality. Guests are assigned their personal cabin staff and are greeted by name throughout the journey. On one of our evening flight back to Sydney, our air-hostess noticed we’d slept through the breakfast service and warmly reminded us to have some breakfast back home when she bumped into us at baggage collection – nice touch. The Golden Lounge at KLIA Satellite Building is one of the best lounges, offering plenty of comfortable lounge and dining seatings with a view out onto the tarmac. Self-service bar, food buffet as well as made-to-order dishes and freshly brewed coffee provides any discerning travellers with plenty of choice. This allows many passengers travelling back to Australia on the night flight to fuel up and sleep through rather than staying up for the meal service after take-off post mid-night. Children area, business centre, large screen TV (sports channel), putting green, showers and massage (for a fee) are all there to make passing time in the lounge a breeze. Whilst you can’t compare the massage to ones you’d have at a 5-star hotel, it’s certainly a treat before a medium-long haul flight. Showers at the lounge are in-demand (amenities provided) so sometimes there’s a bit of a wait and due to the high-traffic, this part of the lounge is truly due for a refurbishment. No doubt Malaysia Airlines has had a serious of bad runs and hopefully the recent privatisation of the Airline will allow management the flexibility to fix the inherent issues it faces. Overall, Malaysia Airlines offer a genuine all-rounded product and service that is value-for-money (particularly the A330 and A380) and will continue to be our airline of choice flying into Asia. If you’re connecting onto a domestic flight, check out my review on Malaysia Airlines’ 737-800 Business Class and the Domestic Golden Lounge. Or you may be interested in my Business Class reviews on A380s (Singapore Airlines, Korean Air and Emirates). I flew 1st class London to Kuala Lumpar 2 weeks ago and their was a cockroach on my seat. And the food was dire – have had better on economy on other airlines.